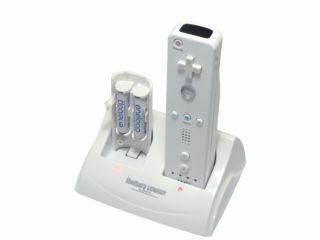 Wii-like TV remotes to premiere at CES? A radical re-design of the humble remote control is in the works, and the results could début in homes faster than you think. Speaking at the NewTeeVee Live event in San Francisco, the CEO of Netflix, Reed Hastings, announced that with the advent of web-enabled TVs, how we control television sets is about to change. In his keynote speech, he commentated: "Lots of people think that consumers are really hooked to their 'left, right, up, down' remote and I don't think that's true." "The videogame generation is very comfortable with a pointer on the TV. And that's what triggers the revolution." He continued: "For those of you who lived through the revolution from the PC to the Mac, it was all about the pointer. Letting go of the tabbed keys and going to a mouse was an incredibly radical user interface design 20 years ago. "A similar design revolution is to abandon the TV remote with its 54 buttons and go to a simple pointer to be able to control everything." Reed goes on to explain how the remote re-invention is inspired by Nintendo's motion-controlled Wii controller. And when are we likely to see these types of remotes in action? "I think we will see this next year, starting with CES," hinted Reed.